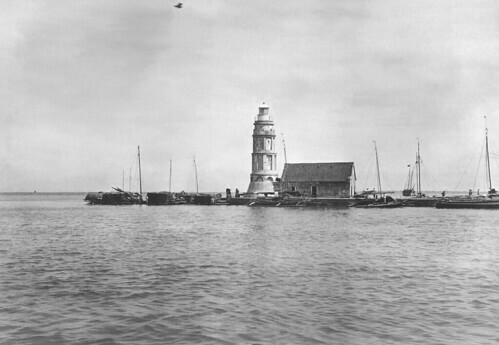 Faro de Rio de Pasig, or Pasig River Lighthouse, is the oldest light station built in the Philippines, at the mouth of Pasig River, during the Spanish era. It was first lighted in 1642 during the term of Governador-General Sebastian Hurtado de Corcuera to guide the galleons of the Manila-Acapulco Galleon Trade that were entering the Rio de Pasig or Pasig River. 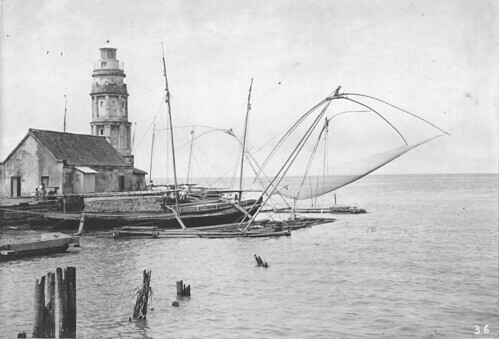 It was only on 1846 that the tower was improved into a 15m grey stone lighthouse when the Manila-Acapulco Galleon trade was at the period of decline and Manila was opened into a broader, more extensive international trade. The old stone tower of 1846 no longer exist. 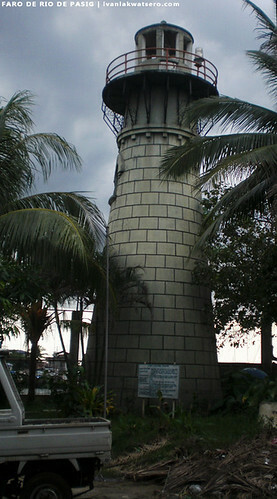 Like most of the lighthouses in the Philippines, upon the arrival of radar technology as a means of maritime navigation, the Faro de Rio de Pasig was neglected and left into ruins. 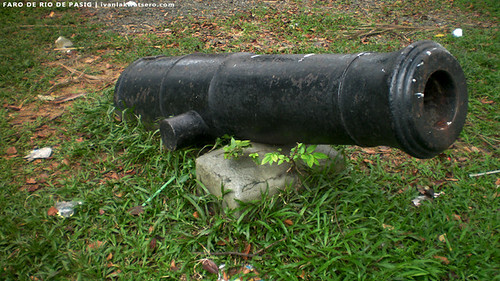 By 1977, the Philippine Coast Guard, who's now occupying the compound surrounding the old lighthouse, started to renovate the ruined structure. A new stone lighthouse, which for me has no match with the magnificence of the former structure, was completed in 1992. It is said that the current lighthouse is built on the same foundation of the original 1842 stone tower. 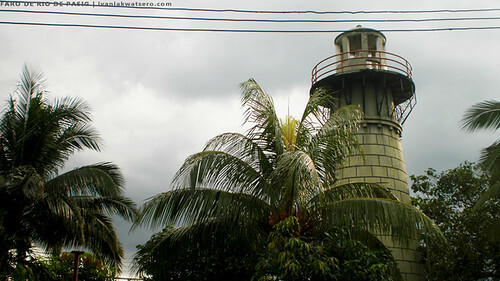 Pasig River Lighthouse is still functional and well maintained by the Philippine Coast Guard. 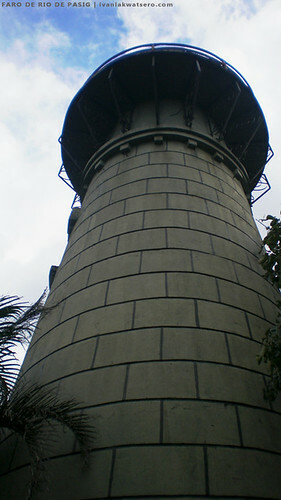 I journeyed into the site of the Pasig River Lighthouse located inside the Philippine Coast Guard Compound at the end of Muelle dela Industria, Binondo, Manila on the 26th of December 2011. I walked through a street found at the north end of Delpan Bridge, came across a neighborhood of slums and shanty houses before I managed to enter the PCG Compound. I just told the guards my real purpose (curiosity and love for Philippine heritage), handed my ID and received my visitor's pass. They allowed me to roam around the Farola and take some snapshots of it. I asked the guard if he could unlock the tower's gate so I could climb the top, but he told me that I will need a permit from the PCG office. *thanks to John Tewell for allowing me to use his copies of old lighthouse photos. When I resigned from work... me and my friend told each other to go around the philippines and have pictures of different lighthouses.... unang lighthouse palang.... naggiveup na yung friend ko...hahahaha.... medyo natakot nung nalaman yung location.... di ba nakakatakot yung location when you went there? haha, actually natakot din ako habang dumadaan sa squaters area.. pero go langng go, ngiti lang at no show of fear. Ivan. I am interested to know all about the Farolas (Lighthouses in the Philippine Archipelago). Looking forward with your blogpost.:-). sir Bon, Josiah - salamat. excited na rin ako maglakbay dun sa ibang lighthouse na nasa remote areas..
this are my targets.. to get still photos of the magnificent lighthouses in the country..
if you're going to Malabrigos in Batangas, invite me in.. hehe..
@cesar, sure.. I have plans of visiting the 2 lighthouses in Batangas (malabrigo and Santiago)anytime soon.. feel free to email me if you want to join one of my trips. Nice one Ivan. This is one of my dreams too, to visit all Spanish Lighthouses in the country. Last year, I remember writing PCG for the permission to visit Rio del pasig, but I didn't get any reply, tapos sa guard lang pala magpapaalam, haha! Great Job! 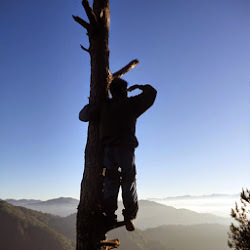 This year I am targeting Lobo, Cabra, the lighhouses in Masbate and the farthest in Merville! Sama ka! @Spiky, wow sure, syempre gusto ko bumisita dyan sa Albay lalu pa't home province yan ng aking nanay. i heard of this light house from a fellow blogger, tutubi, a couple of years. they should have given more care to this one as it is an important landmark. too bad you have to through shanties and squatters to get there. 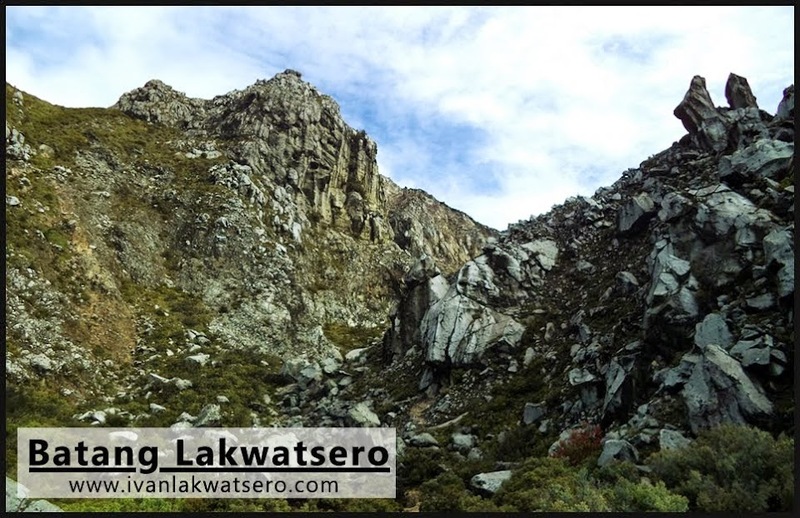 Ivan, I'm glad to inform you that our group will have a dayhike at Mount Tagapo (Talim Island, Laguna de Bay) on the 15th of this month. Post your contact details on my blog so I can update you. What a way to start a series. Yung pinaka-oldest agad. Impressive! At first, nagataka ako kung saan mo nahalungkat yung mga old photos of the lighthouse. E ayun pala sa baba. Haha. Pero pano mo nahanap si Mr. Pilot? Di ako tsismoso, curious lang. HAHAHA. Good luck sa light house adventure mo! :) Sundan ko 'to. @gladys, yeah. nakakatakot nga at first. @jubert, haha.. you must see his Flickr album.. punong-puno ng old photos with details..
@spiky, nako.. ako black sheep ng pamilya.. ako lang ang may hilig sa paglalakbay..
hahaha... malamang mapapagod lang mga kapamilya mo. wow Ivan! ikaw na talaga..
natawa nmn ako kay kuya angel..haha! na-snob ng PCG, tapos ikaw, sa guard lang..haha! salamat sir. yeah, sana nga tlga napreserve yung original structure. Main reason kung bakit ako nagtatravel is because of lighthouses. :) Nice post you have here! Nagkaroon ako ng idea kung saan ako pupunta next! Hi ivan. I was so inspired by your blogs about lighthouse that i myself got fascinated. Ive been ll over the philippines but never thought that lighthouses were really significant parts of our history. Now i have plans to move around again and visit those lighthouses ive missed. By the way, is it safe to walk alone along muelle dela industria going to Pasig River Lighthouse? Please advice. Im going there on Saturday. Thanks and regards to ypur travels! 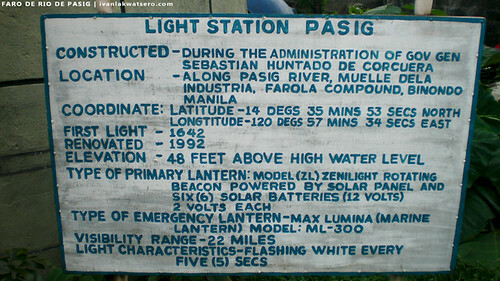 Hello Sir, isa lang ba ang existing lighthouse along Pasig River?